Celebrate Your Graduation In Our Lavish Graduation Limousine Service in Montreal At The Best Possible Price! We have the Best when it comes to graduations, dances, and parties! 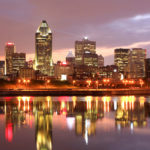 All you have to do is pick the Montreal limousine that suits your fancy and leave the rest to us! What to decorate? No problem, just let us know what you want and we will cater your limo to your liking! You have worked hard and it is time to celebrate you achievements! Working towards graduation is not an easy task and finally your hard work has paid off! Now you need to celebrate in style. Treating yourself or loved one to a limo isn’t just about transportation…it is about the experience. Renting a graduation limo from us will give you or your loved one and experience to remember. A Memorable Experience. Let us help you have the time of your life celebrating this momentous achievement. We can take you and pick you up for graduation, a dance, or you could just have a limo party! You will enjoy our limousines because they have anything you could ever ask for on top of the best customer service like we can only provide. You will get treated like royalty from our staff and you can party as much and as loud as you would like. It is time to celebrate you! Call us today or fill out the form to the right of the page. Show up in like Royalty. We are well trained to make you feel and appear to be royalty. We roll out the red carpet and give you an experience you will never forget. Our customers always come back not just because we have the best Montreal limos but because our staff knows how to treat you like you are a movie star! The Best Prices. Only and we can make a custom package just for you. We can work with any budget and we can make you feel like you a movie star no matter your budget! If you find a better deal we will match it. Always luxury. 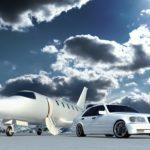 When you choose us you are getting only the top of the line limousine that are checked before and after use to insure that everything is stocked and ready to go at any time. 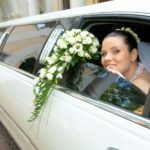 Our limos are always clean and well maintained to insure the smoothest and best limo service experience. Royalty for night. You have worked hard and deserve to be treated like royalty at least for your time with us. We always treat each of our guest like they are royalty and help them create memories that will last a life time! Party all night. You never have to go it alone! 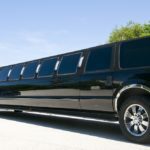 Bring your friends we have large and spacious limousines that can fit any large group that you want to invite. You and your fiends can celebrate your milestone by partying through the city with the music turned up and an open bar at your fingertips.